Richmond, VA February 15, 2019. 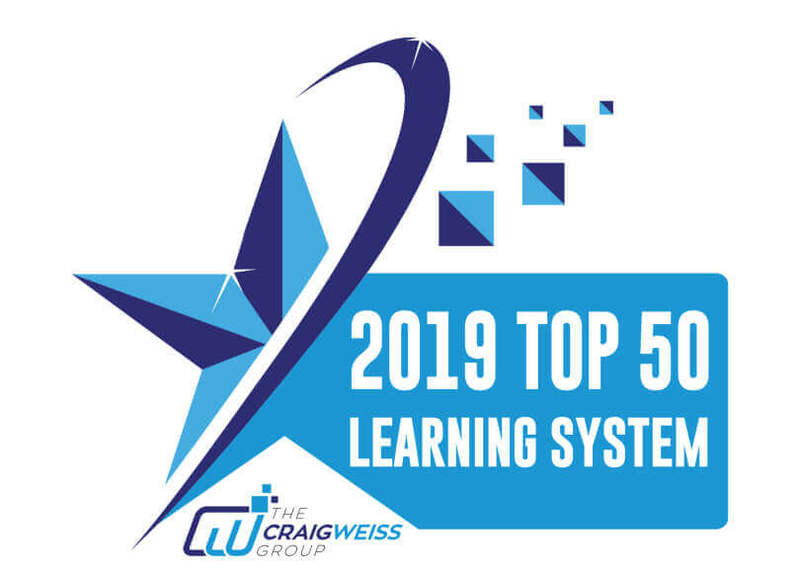 Gyrus Systems, a leader in the Learning Management Systems (LMS) industry, proudly announced today that it has been recognized as part of the top 50 LMS providers by Craig Weiss Group. Named the most influential person in the world of e-learning and learning systems, CEO and Lead Analyst Craig Weiss, has analyzed over 1000 LMS worldwide and collected the best in a report. GyrusAim Learning Cloud ranked #18 in the global listing. What Is This Report All About? Craig Weiss announced his picks for the Top 50 LMS of 2019, selected based on a number of criteria that he lays out in more detail on his website and in the report itself. In the report, each LMS is presented in a profile overview that shows the standards used by Mr. Weiss to evaluate each LMS. These criteria include fees, pricing, data security/privacy, latest features, roadmap, hosting, support, and training. Ultimately, the report acts as a valuable resource for learning professionals who may be purchasing a learning management system in the near future. With detailed profiles of the 50 learning management systems that it ranks, the report also provides an overall analysis of the market. Weiss’ report stands out from other “Top LMS” lists because its purchase buyers are also granted access to a gated site, where they are able to customize the Top LMS list based on their specific needs, including a number of learners, budget, and other categories such as important features. “Under the radar for some folks, not me though. Surprisingly, in a good way, strong in functionality. Big wins include the ability to assign multiple certificates to a single course/content (not a common feature), skill ratings including the ability for managers to review skill ratings by learners and change the rating if needed and KPIs too. Built-in scan capability (i.e. for scanning badges, etc.) also on the roadmap for 2019 – and via the mobile app. A minus at this point is the lack of machine learning, but it is on their roadmap for 2019. I see the system best suited for SMB, although they do support large enterprises too. Don’t let the UI fool you, this system has oomph behind it.”, commented Craig Weiss, CEO and Lead Analyst, The Craig Weiss Group, LLC. “At Gyrus Systems, we focus on developing innovative learning solutions for our clients. With the recent addition of the UI and compliance capabilities in GyrusAim Learning Cloud, and Craig loving our platform, we are sure we are on the right track. Our learning platform is ready to tackle all organizational learning needs.”, said Viren Kapadia, President and CEO at Gyrus Systems. His new free platform for consumer, FindAnLMS, where you can search and contact in real-time learning systems, is live at findanlms.com. Craig has been named the most influential person in the world for e-learning and the learning system space. He is on multiple advisory boards in the corporate and edTech sectors. Craig writes the E-Learning 24/7 blog, which is read in 174 countries, territories and colonial territories. Craig has been involved in the e-learning industry since the late 90's. His experience as a former training director and manager, in creating and launching successful online learning programs including purchasing LMSs gives him a perspective rarely found with other analysts and consultants. Craig speaks regularly at conferences, events, and companies around the world. Gyrus Systems is the one-stop solution for the efficient management of any size training program. Since 1987, 450+ companies worldwide have used Gyrus Systems’ products to improve training effectiveness, organization efficiency, and to attain greater success within their respective industries. The company is headquartered in Richmond, Virginia. For more information, please visit http://www.gyrus.com/.